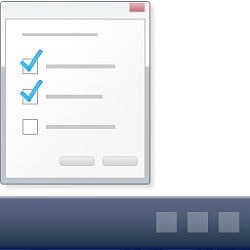 When the taskbar is unlocked, you can resize the taskbar, move the taskbar, and rearrange any toolbars on the taskbar. This tutorial will show you how to enable or disable the ability to unlock and lock the taskbar for specific or all users in Windows 10. You must be signed in as an administrator to enable or disable "Lock the taskbar".